Build your single-tap kegerator in no time thanks to this conversion kit with everything you need besides a CO2 tank. Ready to build your kegerator system but don’t want to spend time picking out every individual piece? No problem – that’s why there’s this standard kegerator conversion kit. The kit comes with almost all the equipment you’ll need to turn your refrigerator into an awesome beer dispensing system. Highlights include a chrome faucet head, black faucet knob, a double-gauge CO2 regulator, and all lines and small components. The only thing you’ll need to add is a CO2 tank. The included US Sankey (D system) keg coupler is compatible with most domestic beers, but you can always add a different coupler for your favorite international or specialty brew. It doesn’t take a professional handyman to install this kegerator conversion kit. 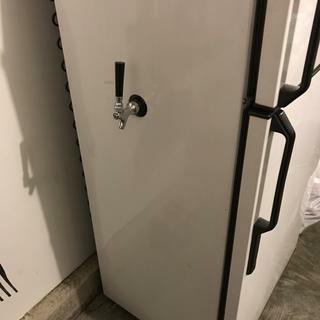 Just follow the detailed instructions or watch our video below to see how easy it is to build your kegerator in less than 30 minutes. Just installed in 10 mins. Can't wait to start pouring. I am very impressed with the quality of the components I received! This product was everything that I wanted! It was extremely easy to install and the beer is fantastic!! Very easy installation. Product arrived in a timely manner and was as expected. My tap system was about to give up. \Hope yours works as well . My son told me to. this looks like an easy system for running my beer kegs. the product was available & priced reasonable. Replacing my old KegWorks conversion kit. Have had it for 17 years, and was in need of an update - all except the CO2 tank. 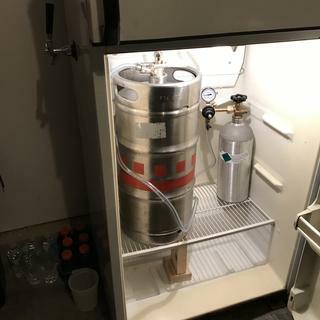 Christmas gift for my son in law who brews and kegs his own beer. Will be used in refrigerator on back porch of home. I bought this kit to make a portable system. Ill use the regulator to upgrade my man cave set up that i inherited and which only has a single pressure gauge. Needed to refurb the inside of our kegarator. This had everything we needed at a good price. I am an ex-pat who lives full time in Mexico City. Here, access to both draft beer hardware as well as the tools to build your own kegerator are limited. Traveling back for Christmas to the US to visit my parents and this is the real gift to myself which will be waiting. Finally, my 1987 Whirlpool super wide fridge can pour Modelo and Corona until we fall over silly. KegWorks, thank you for your access and availability. You're going to make it an excellent 2018 for this guy!!! Salud. Able to get CO2 for much cheaper locally. Conversion kit was all I needed.